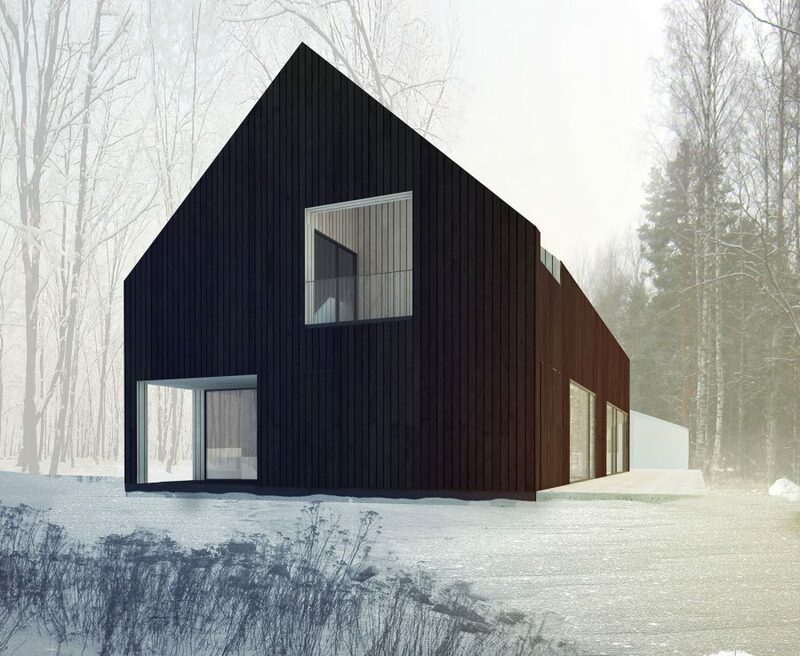 Villa Anna opens up to nearby Lake Saimaa and adjoining forest. 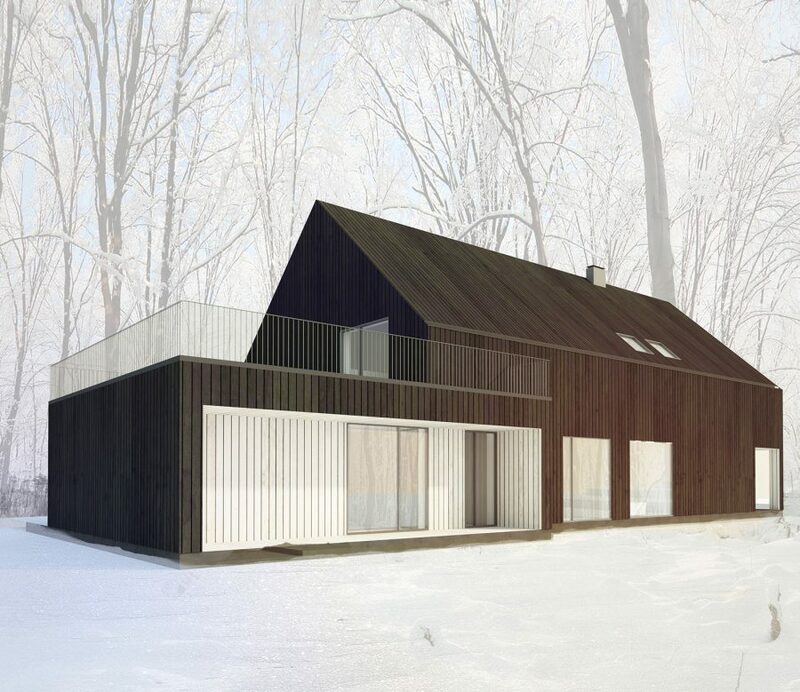 The entrance area is lower than steep roofed main mass not to block neighbor’s lake views. 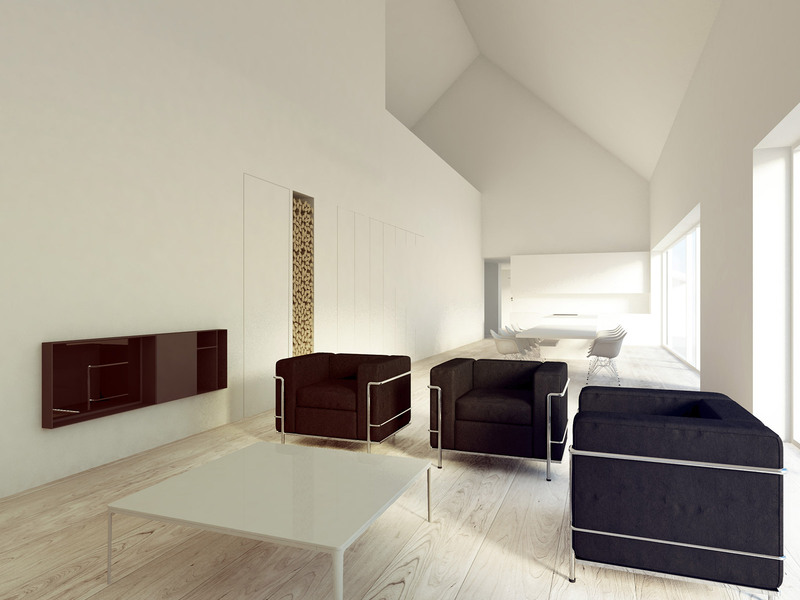 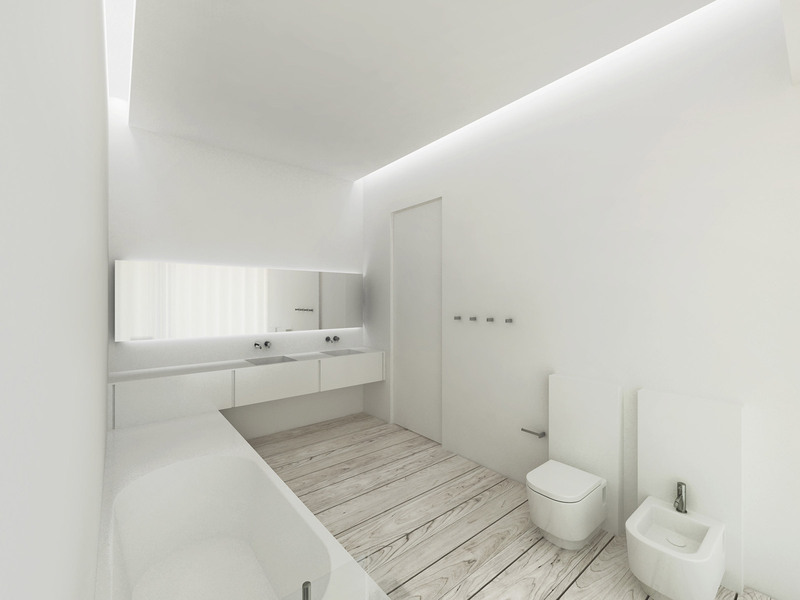 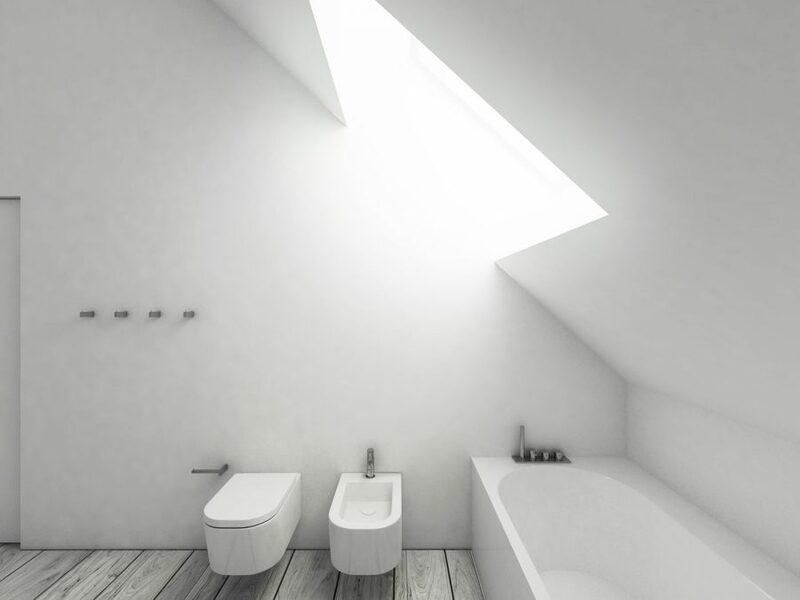 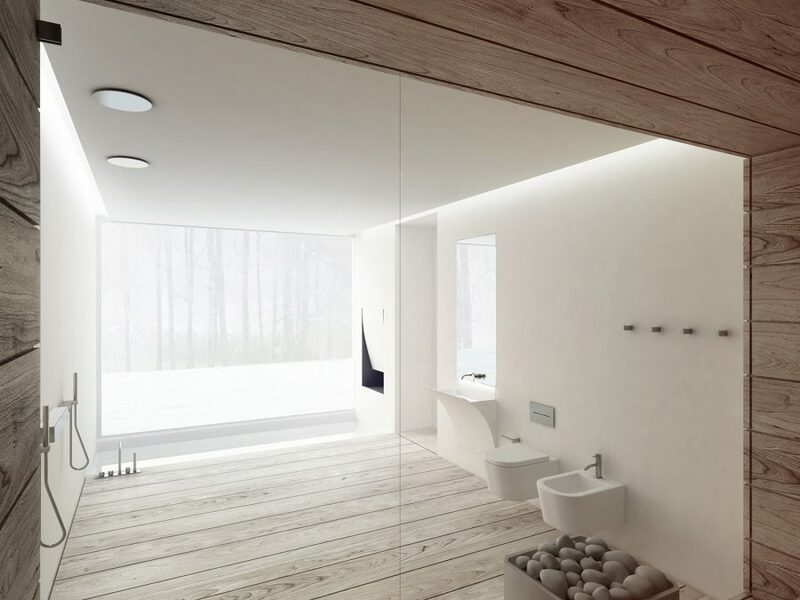 The minimalist interior is all white, just the wooden floor add some warm ambience. 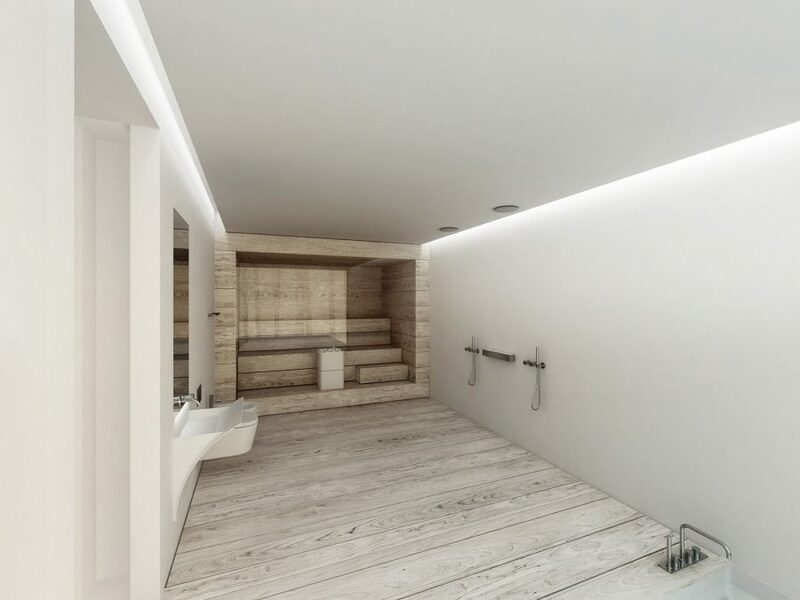 Special care has been paid to bathrooms that have floor made of wide planks too. 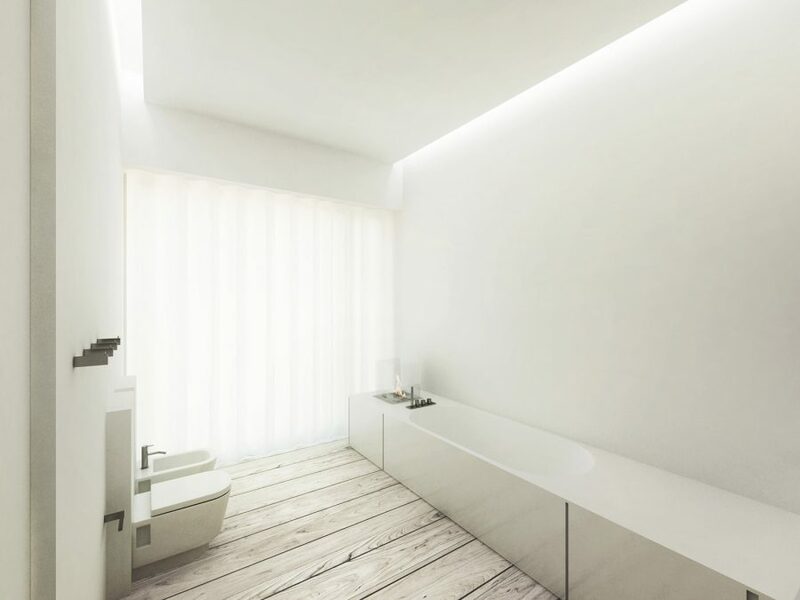 The luxurious home spa has Kyly like sauna and a Japanese style furo bath sunk on the floor.